I listen to Rush Limbaugh now and then, just as I sample the likes of Chris Matthews and Rachel Maddow. It’s interesting to hear what they have to say, given that they and talkers like them reflect — or guide — political thinking on the left and right. For that reason, I tuned in to Rush on May 2 to hear what he had to say about the successful operation to capture or kill (take your pick) Osama bin Laden. Limbaugh’s reaction was predictable, but it was snide and unjustified even by his own standards. He opened the show with a long diatribe against President Obama, mixed in with praise for the military and pride in the fact that we had finally found and killed bin Laden. 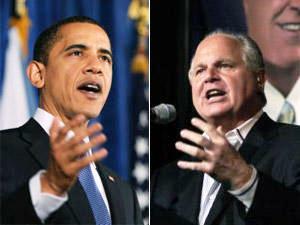 Rush charged that Obama was overly self-referential in his announcement of the success of the operation; he noted numerous times that the President used the words “I,” “me,” and “my” over and over during the announcement. He also pounded on the idea that most of the credit was due to President Bush and what he had done in the War on Terror, and he excoriated Obama for not giving credit to Bush. He continued for a long time in that vein, and the sarcasm was deep and obvious, at least to anyone who has spent much time listening to him. However, some naive media types were fooled, and even before the show was over they were reporting on the miracle of Limbaugh praising Obama. Rush noted this media reaction during the show, laughing openly at their failure to understand what he was saying. Finally, consider this: If the operation had been a failure, conservatives like Limbaugh would have taken an entirely different approach. There would have been no reference to the credit deserved by President Bush and his administration. Not only would President Obama not have been given even grudging credit for making a gutsy decision — which it certainly was — he would have been reviled even more as an incompetent and a fool. The fact is, in an operation like this there’s always a high chance of disaster which becomes very public and damages both the U.S. and the president personally. The success of the operation doesn’t guarantee the President’s re-election; it will probably be little more than a minor factor. But failure would most certainly have doomed him; just ask Jimmy Carter about Desert One. Obama knew that, and he went ahead anyway. Anyone who thinks he’s more interested in his own political future than the good of the country should remember that. Like Rush I also tire of Obama saying “I” all the time. It is amazing how one little word “I” used over and over again says so much. Lisa, I agree that the President is overly fond of the vertical pronoun and it’s grammatical cousins. But he’s certainly not the only politician with that particular fault. Despite that, and the way the story has become more and more confused, Obama still deserves credit for making a tough decision that could just as easily have destroyed his political career. The likes of Limbaugh would do well to give him credit for at least that much.